Various parts of Sajana / Muniga / Moringa are used in Odia cuisine in an effective way, such as its sticks , flowers and the leaves. The leaves in a way serve as a healthy leafy vegetable and the 'kharada' mentioned here is only one of the many recipes involving this followed in the Odia homes. In this recipe here vegetables are added to the saaga. We also have another recipe elsewhere on this website/ app where this dish is prepared without vegetables also. Boil the moong dal, vegetables with a pinch of turmeric powder and salt in pressure cooker for 3 to 4 mins. Keep this aside. Fry the badi in oil and keep it aside. Wash the sajana leaves well and pluck out the leaves. Heat oil on a frying pan. Add one teaspoon mustard seed and the red chillies. Fry until the same crackles. Then add the smashed garlic and after 30 secs add sajana leaves. Fry a bit. Add salt add fried badi. Mix well. Add 2 cups of water and cover it with a lid and let it boil for 10 to 15 minutes. Add the boiled moong dal and vegetables to it. Cook a little further and try to smash the saaga with moong and vegetables thoroughly. It tastes great. You can replace this sajana saaga with any other like 'koshla saaga' and 'methi saaga' (fenugreek leaf) whichever is available seasonwise. 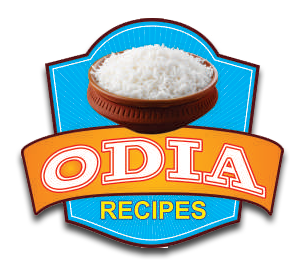 You may see the video of a similar recipe "Sajana Saga Kharada" at the following link.